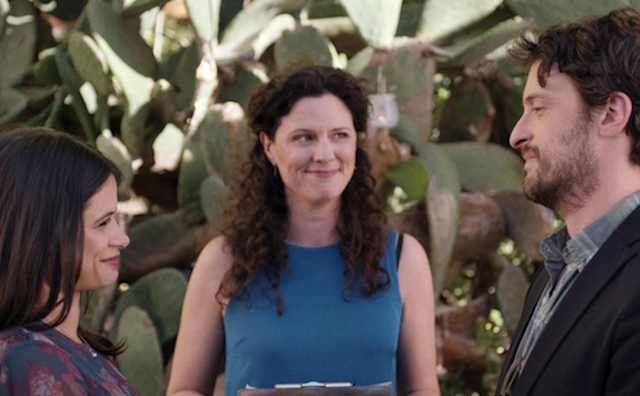 “Lost & Found” follows a group of friends as they try to navigate the absurdity of modern-day Los Angeles, which is anchored by a ceremony where a couple gets “unwed” after their divorce, and the complications that evolve from that ritual. The show is witty and in-depth, with a large ensemble cast that delivers both hilarity and emotion. “Lost & Found” features Melonie Diaz, Terence Nance, Will Janowitz, Jennifer LaFleur, Abby Wathen, Avi Rothman, Peter Thomson, Nick Thurston and Laura Lee Bostacos. Haroula Rose graduated from the University of Chicago with a Bachelors and Masters in Education, and received additional training at USC’s School of the Cinematic Arts. She is a Los Angeles-based writer, director and producer, and has directed the short films “No Love Song” and “Wedding Dress.” Rose is also a musician of note, and had songs she performed that were featured in the films “For a Good Time, Call…” and “Still Alice.” She is currently in pre-production for an feature adaptation of Bonnie Jo Campbell’s novel, “Once Upon a River.” HollywoodChicago.com caught up with her after the Tribeca Film Festival experience, during a visit to her hometown, and the interview is divided between a transcript and an audio portion. HollywoodChicago.com: What fascinates you about the Los Angeles zeitgeist that you think defines “Lost & Found,” and where is that observation most prevalent? Haroula Rose: The kernel of this idea came from the question of ‘is it possible to have a break up that is amicably?’ I know it is, because I’ve done it, but I also thought some complications might arise. The idea of ‘conscious uncoupling’ is hilarious to me, like Chris Martin and Gywneth Paltrow did, and I thought what if we humanize that concept and see what it would be like for people. It’s interesting to take something like that and give it a humanity and depth as to what the couple might go through, and of course it can’t help but be funny as well. HollywoodChicago.com: You depict an ‘un-wedding’ in the episode. Do you think if every divorcing couple did something like that there would be less animosity at the end of the marriage? Rose: I’d like to think so, because we tend to celebrate so many beginnings but we never consider or discuss something that ends a situation, except for funerals. I thought it could be a healthy thing to explores the experiences the couple had together, and value it as they move on in their lives. It would be closure without being jerks. HollywoodChicago.com: The characters are diverse, and full of motivations that define each of them. What part of you – in the creation of these characters – is most strong, and who do you most relate to? Rose: There is a little bit of my own experiences in each one of them, so I can’t say that only one resonates more than another. Emotionally it is probably Stella [part of the ‘unwed’ couple], because she’s the instigator of the whole thing, and has the most complicated feelings about it. There is another part of the show that actually happened to me, where the character of Lucy asks Stella if she could use her ex-husband’s ‘DNA’ for an in-vitro pregnancy. That was weird. HollywoodChicago.com: You create an atmosphere that these characters live in. Since the show has a very naturalistic feel to it, what was the key to getting the buy-in of the cast to create the atmosphere? Rose: All of the characters were portrayed by actors that I know in Los Angeles, I even knew the actress that portrayed Lucy from my connections back here. It came to figuring out who among my friends was down for doing something low-key and collaborative like this show, and who felt like they could do those roles. I feel lucky that I know so many people who are really talented, and they responded to the writing. It was fun to cast, and to figure out who might be those characters as I was writing it. Rose: Yes, it’s definitely about the ‘un-wedding’ and the couple, but it also ripples down to everyone around them, and I thought is was important for everyone in the story to have their complexities. HollywoodChicago.com: How much interest have you had regarding the show, and how do you position yourself to trust the process of some entity purchasing the show? HollywoodChicago.com: How far out have you scripted it as a series? Rose: Although it’s not written, it’s mapped for an entire season, and I have ideas for the second season. If I trust the process of pitching it, I feel like I go by people’s vibes, and if there is mutual trust and respect I can work it out with anybody. 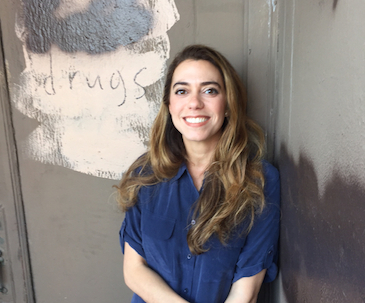 In the audio portion of the interview, Haroula Rose talks about her approach to songwriting and academia, in addition to outlining her upcoming projects. For more information about Haroula Rose, click here. For a complete list of articles by Patrick McDonald of HollywoodChicago.com at the 2017 Tribeca Film Festival (scroll down), click here.